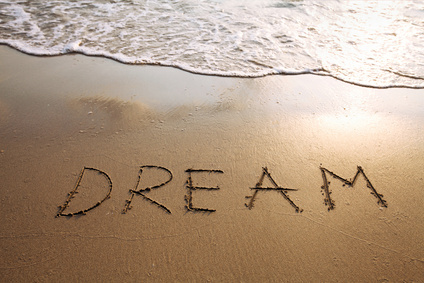 I’ve been doing some dreaming about things I’d like to do some day — thinking about my Bucket List, if you will. Most people have encountered the term, which simply means a list of the things you’d like to do or accomplish at some point in your life. There are arguments for and against bucket lists. Some see them as a good tool for expanding a person’s horizons, some see them as a challenge, some see them as potentially limiting one’s focus to just the items on one’s list, or as a form of one-upmanship. I see them as an opportunity to dream, hope, wish, plan — to see possibilities and to open oneself to them. Julie Hedlund has an amazing list in the “about” section of her blog. My list isn’t that extensive, nor as well organized, but these are some of the things I’d love to do — some of the dreams that I would like to work toward making reality. Many bloggers have just finished the April A-to-Z Blogging Challenge. I didn’t take part this year, but apparently my mind works in ABCs, anyway, so here’s my bucket list (or at least part of it) arranged alphabetically. With my comments about each thing, the list grew too long for one post, so I’ve split it in two. The next part will be posted next Friday. One caveat: I’m not going to try to force it and put something for each letter just for the sake of doing so (X, I’m looking at you!) so there may be some blanks. There’s always room for new dreams in any list, so blank spaces can symbolize that. Acting: I’d love to do more acting, but finding time for rehearsals? Ah, there’s the rub. Some day! Carter: I would love to meet Jimmy and Rosalynn Carter. Former President Carter has been one of my heroes since his presidency. (Little trivia fact: he announced he was going to run for president on my 18th birthday!) He continues to do amazing work through The Carter Center at the age of 90 (!) and Former First Lady Rosalynn Carter works alongside him, as well as being a strong advocate for mental health issues through the Carter Center and for caregivers through the Rosalynn Carter Institute for Caregiving. Dublin: I want to visit Dublin. There is so much to see there. Besides, I have friends there! Directing: (Does having two Ds make up for not having an X?) By this one, I mean not only being open to doing some directing myself (I’ve been a choir director, and I’m intrigued by theatrical directing) but I’d really like to be able to watch a top-notch theatre or film director in action. England: I want to go to England again. And again. And again. Fit: I want my next car to be a Honda Fit. Hastings: Part of that desire to go to England again is that I want to visit the site of the Battle of Hastings, appropriately called Battle, in East Sussex. There are many places in East Sussex I’d like to visit while I’m there. Trivia time: my interest in history was kindled years ago by a historical novel about the wife of Harold II, who was defeated by William the Conqueror at the Battle of Hastings. Improvisation: I’d like to learn to be able to let loose and improvise on the piano. I had one amazing one-hour lesson with jazz pianist Louise Rose several years ago, but that just barely dipped beneath the surface of all there is to learn. Jaunts with Jan: My friend Jan got me traveling again after years of inertia, and I am so grateful to her. We’ve had some wonderful trips and met some amazing people. Here’s to many more such trips! Part Two will be posted on Friday, May 8th. What do you suppose is on it? Oh, that converted stable sounds like a cool place to stay, and just the sort of spot my travel friend and I would be looking for! Honda Fit sounds like a neat little car for you. We just bought a Honda Jazz a few weeks ago. Great cars. Hope you have fun with your travels. I’ve never thought of bucket lists, I just dream. LOL. Interesting list Beth, look forward to seeing part 2. Thanks, Diane. Actually, it looks as though the Jazz is very similar to the Fit. I wish it were called Jazz here! Can I go along with you on all those A-Mazing adventures? We have so much in common! Bradley Sowash has books on jazz and improv. I’m starting to use a few in my studio. I don’t improvise much, either. I play off the page sometimes, but to just sit down and make it up as I go? Nope. Can’t do that, yet. I think my students will end up teaching me! A great list Beth. I am a huge believer in making goal lists. One of my goals was to move to Spain and now here I am. I think writing them down helps to make it happen. Look forward to the rest of the list.